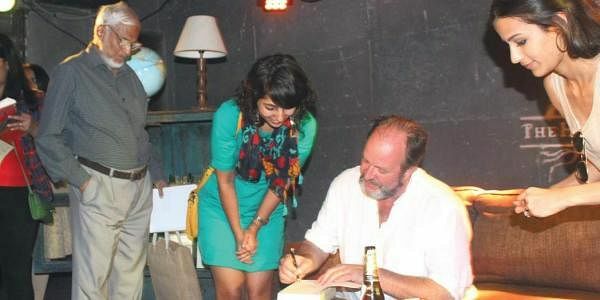 BENGALURU:First time William Dalrymple was planning a trip to India, he had just watched Richard Attenborough’s Gandhi. “I went to the army store and bought myself a pair of khakis,” says the travel writer and historian, laughing about a stereotype he held of life in India. But that was nearly twenty years ago. Since then, this multiple-award winning Scottish writer has travelled extensively through the country and written books on Delhi, the troubled Kali Yuga, a love story set in British India and a pilgrimage through India, among others. “Stereotypes dissolve with experience,” he says, on how travel has changed his idea of the country that he now considers a home. His family, of an artist wife and three children, live between a farmhouse in the outskirts of Delhi and London. “I have many homes,” he says. Travellers often speak of a melancholy that sets in from being constantly on the road. But not Dalrymple. “I am restless,” he says, running his right hand constantly over his flushed face and holding his favourite beer Leffe with his left. 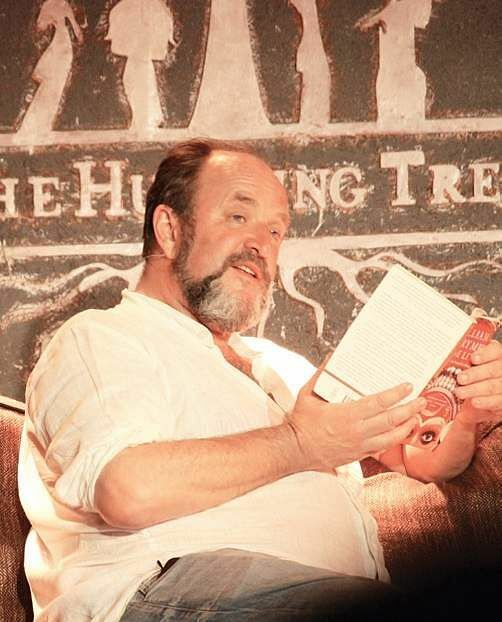 The author is seated in the green room of The Humming Tree, where he was as part of the pub’s Books and Brews session, a regular meet-up around books and with authors. He still has many places he would like to visit. “Latin America, particularly Peru,” he says. There are many favourites from his past travels: “Kerala, the beautiful coastline, Mandu (or Mandavgad) and Sanchi in Madhya Pradesh, Chambal Valley, rural Bengal...” he shakes his head, there seems to be too many. Around Bengaluru, “Lepakshi, Hosur, Hoskote...”, again the list is long. During the Books and Brews session, he read from his books and among them from Nine Lives: In Search of the Sacred in Modern India. The extract he read was of a Jain nun Prasannamati Mataji’s recounting of her friend Prayogamati mataji’s last days. Prayogamati had decided to observe sallekhana, or a ritualistic fast unto death. It was a moving account of how the young, 36-year-old nun giving up food and refusing English medicines despite the pain and suffering. After the excerpt, Dalrymple said that the two nuns could even be called lovers for the attachment they shared. They had spent 20 years as constant companions to each other. But the book on meeting people who believe and live by the sacred has not made Dalrymple a believer. “I am standing on the edge of the board, not quite taken the dive yet into the pool,” he says. Dalrymple writes history and travel. “History is easier,” he says. “Travel (writing) is easy but difficult to do well... it is like photography”.